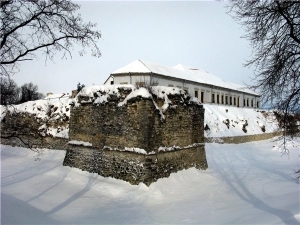 There is a castle located in the heart of an ancient city of Zbarazh on the Castle hill, surrounded by shady trees of the city park, whose rich history attracts here all lovers of antiques and visiting tourists like a magnet. 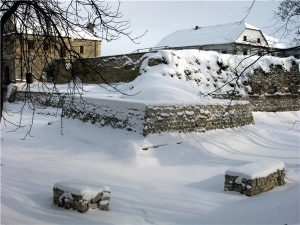 Massive bastions of Zbarazh castle, its high earthen ramparts and wide ditches were repeatedly helping the castle to survive the total destruction during the numerous battles that broke out under its walls in the 17th century. 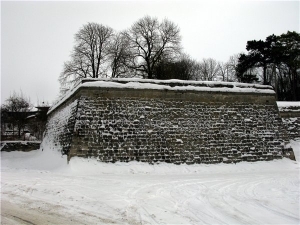 In this stronghold, known as one of the most well-fortified fortresses in the Volhynia region, the Polish-Lithuanian forces were able to repel the attacks of the Zaporozhian Cossacks during the famous Battle of Zbarazh for a few weeks. 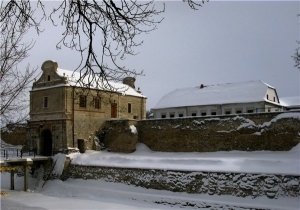 Restoration works and rehabilitation of historic interiors in the castle are not terminated, but nevertheless the bulk of its facilities is open to the public. 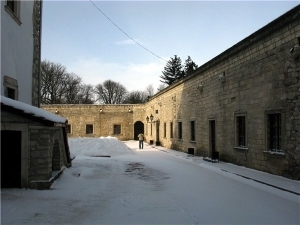 Diverse expositions and temporary exhibitions are located in the halls of the palace buildings and dungeons, and there are more than 11 thousand exhibits inside of them. In the gate tower on the second floor you can see the numismatic collection and the collection of antiques: mirrors in openwork frames, antique cabinets, tables and chairs, astonishing with exquisite carvings and inlays. 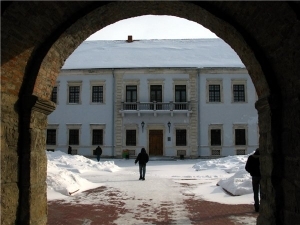 Tourists get into a spacious hall through the main entrance of the palace. 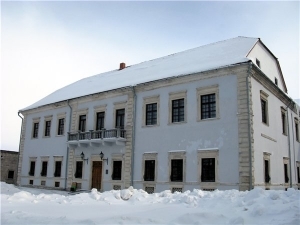 There they meet with a portrait gallery of Wiśniowiecki and Potocki family and other historical figures that had direct relevance to the existence of the Zbarazh Castle. 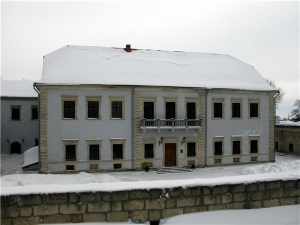 There is a miniature copy of Zbarazh castle on the second floor of the palace, which allows you to imagine how wide ditches were and how powerful fortress walls were in the age of its power. A sacred collection of the museum is also presented on this floor, which peacefully contains devotional articles of several religions, early printed books, as well as elements of the interiors of ancient temples. 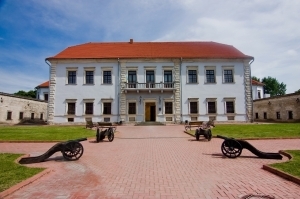 Casemates, surrounding the castle courtyard from the inside, also became a venue for exhibitions, which are mainly represented by archaeological and ethnographic collections. 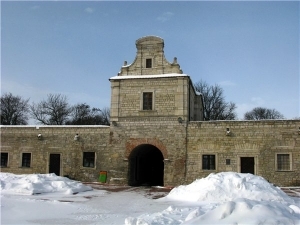 Exhibition of ancient sculptures, which have not been destroyed in churches and cathedrals of Ternopilshchyna, is the most popular among tourists. 9:00 am - 8:00 pm daily (in winter till 6:00 pm).